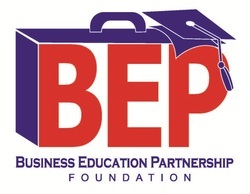 The Business Education Partnership (BEP) Foundation was formed in 1988 with the help of the Rutherford County Chamber of Commerce. Using energetic and innovative programs for teachers, counselors and students in Murfreesboro City and Rutherford County Schools, the BEP brings schools and businesses together to prepare today’s youth to be leaders in tomorrow’s world. innovation in teaching concepts beyond core curriculum through meaningful learning. BEP STEMEx CAMP introduces students to different careers in science, technology, engineering, and math through tours of local businesses that utilize STEM skills, where STEM professionals work with students in hands-on STEM learning activities. June 10 - 14 from 8 a.m. - 3 p.m. YOUTH LEADERSHIP RUTHERFORD is a selective personal development, civic education, and community engagement initiative for juniors and seniors. ​BEP CAMP M.D. PRESENTED BY SAINT THOMAS RUTHERFORD HOSPITAL introduces students to the world of healthcare through tours of local medical facilities, interactive discussions with healthcare professionals (physicians, nurses, medical assistants, lab technologists, researchers, and therapists), and hands-on learning experiences. ​BEP SUMMER BUSINESS CAMP PRESENTED BY STATE FARM has student teams each create a "business" for the competition. On the final day of camp, teams present their business plans to a panel of volunteer judges, who will then decide whether to "fund" the businesses. No actual money is awarded, winning team members receive laptops as their prizes. For information on our Professional Development Conferences for Educators, please click this link.